News from LMCU: Buy or build? homes is. If you just can’t quite find your dream home, why not build your own and get exactly what you want? 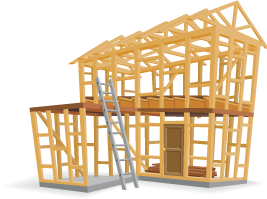 Get approved for a LMCU new construction loan. As little as 5% down can get you started. Our single closing financing means you can arrange for both the construction and purchase loans at the same time, with a single closing. You can lock your interest rate for the construction phase, and keep that rate for the permanent loan when your home is complete. Rates have been holding at nearly record lows for some time now, but could easily rise between the time you start building and when you take possession. With LMCU, you’re protected against rate hikes that could cost you plenty. Stop by any branch, call (844) 890-9767, or visit us online at LMCU.org to get your dream home under way!